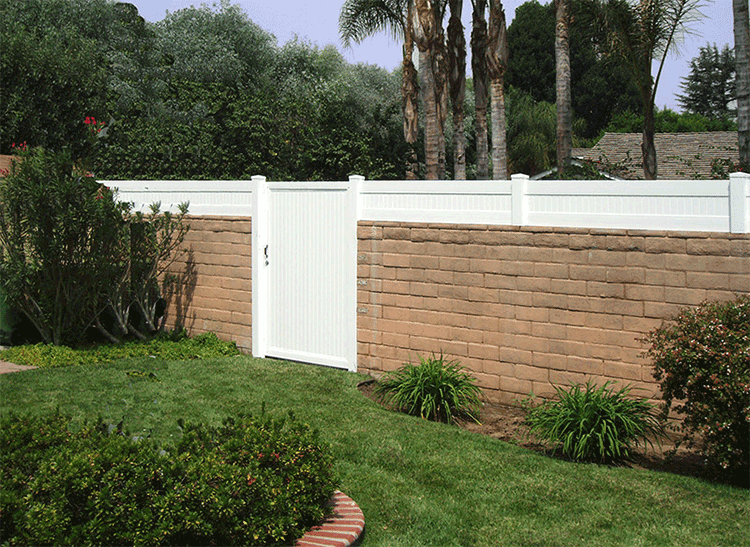 Add to the height, privacy, security and appearance of your existing block wall or retaining wall with our vinyl block wall extension fencing. 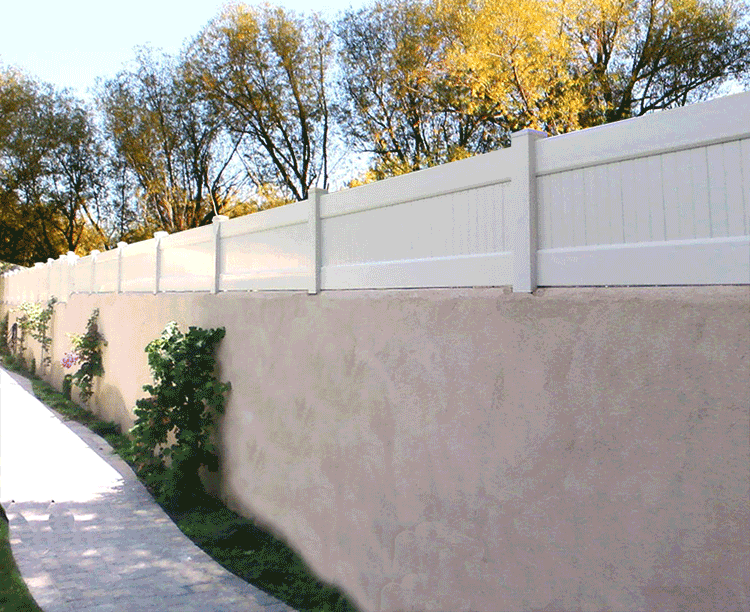 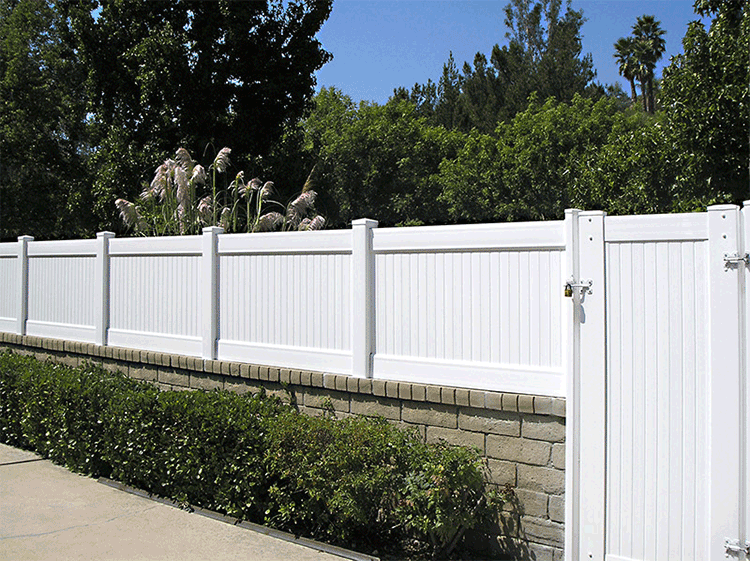 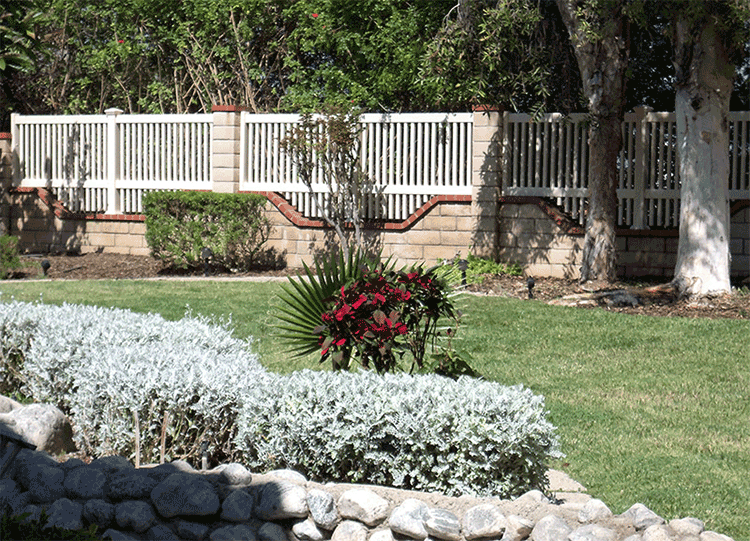 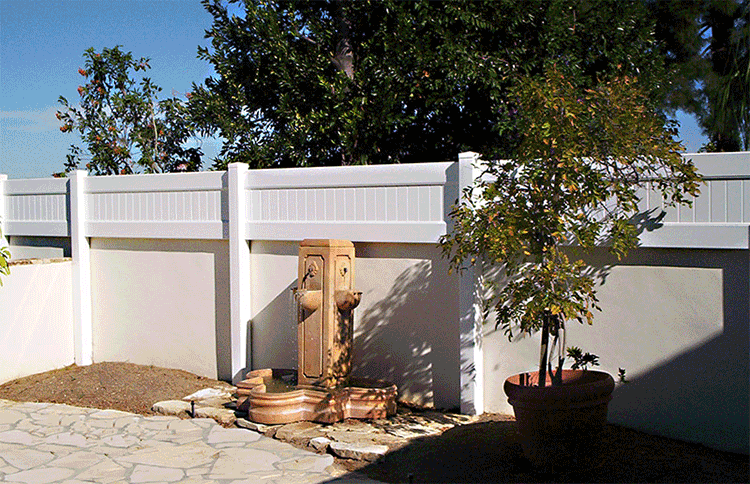 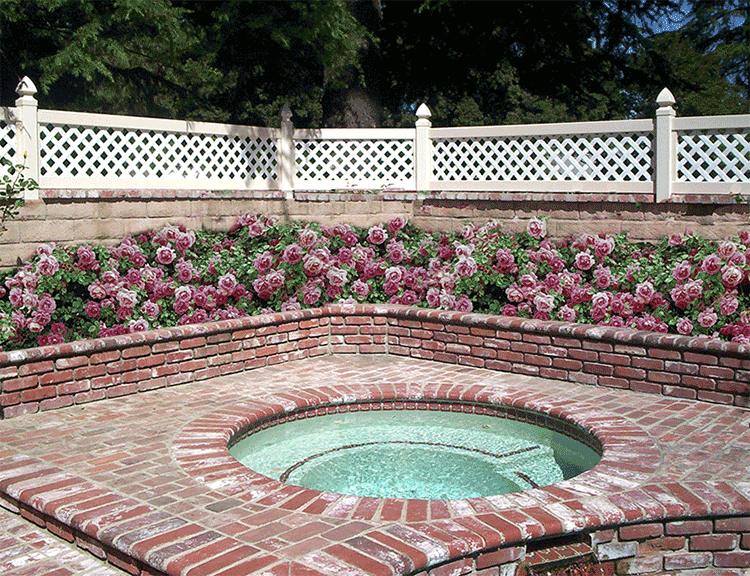 Most any style fence can be adapted to be attached to the top of your wall. 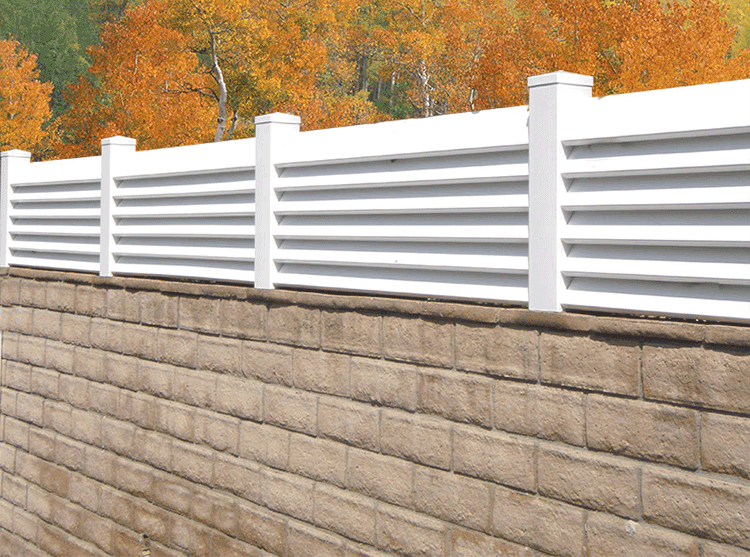 So as not to take away from the beauty of your vinyl extension, all post supports (brackets, screws & hardware) are internal and completely invisible. 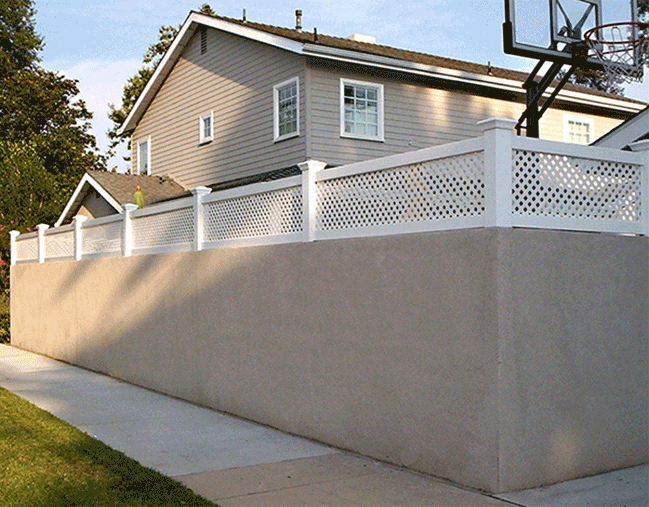 Our vinyl wall extensions are maintenance free and will give you a lifetime of enjoyment with no rotting, termites, water stains, cracking, chipping, peeling or fading. 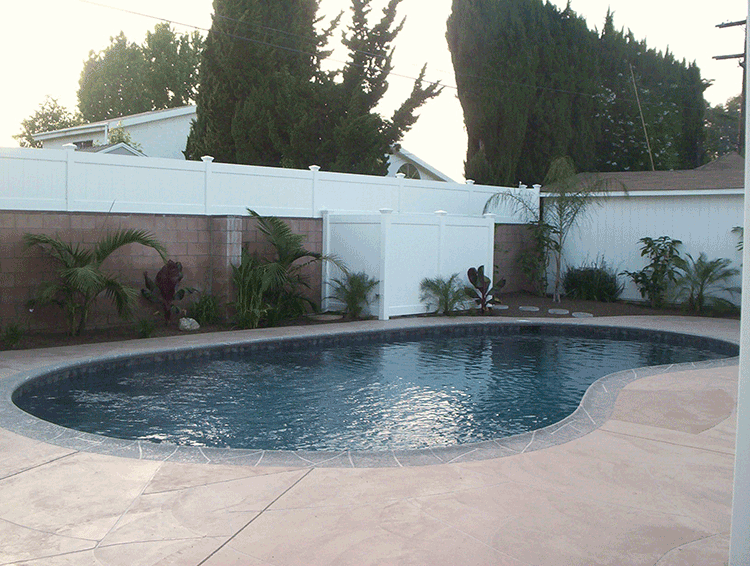 Call or come by one of our showrooms and see how our courteous, qualified sales professionals can help you fine exactly what you need, so you can make a wise and informed decision.